Music has played a very large role in Diana Beterbide’s life from a very young age. It began with piano in grade school, then flute in middle school, French Horn and Baritone in high school and on to a piano performance degree from Arizona State University. She discovered a love for teaching after she graduated and she currently holds a studio of over 30 privately taught students. 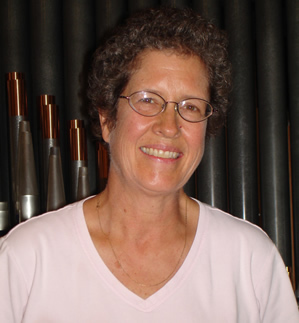 In the early years of this decade, the spirit moved her to begin her journey with learning how to play the pipe organ and she has been playing for Riverside Community Church’s Sunday morning services ever since. Diana also accompanies and serves as the Director of the Riverside Church Chancel Choir. When she is not teaching somebody how to play the piano, she is hiking in the Gorge with her friends and her dog Luna. Her newest, most profound passion is volunteering at the Hukari Animal shelter, doing all that she can to make the dogs there comfortable while waiting for new forever homes.